Cirque du Soleil VOLTA premiered in Montreal in April of 2017. Cirque’s newest big top show blended the stunning visuals and traditional acrobatics of Cirque du Soleil with the modern era of extreme sports. 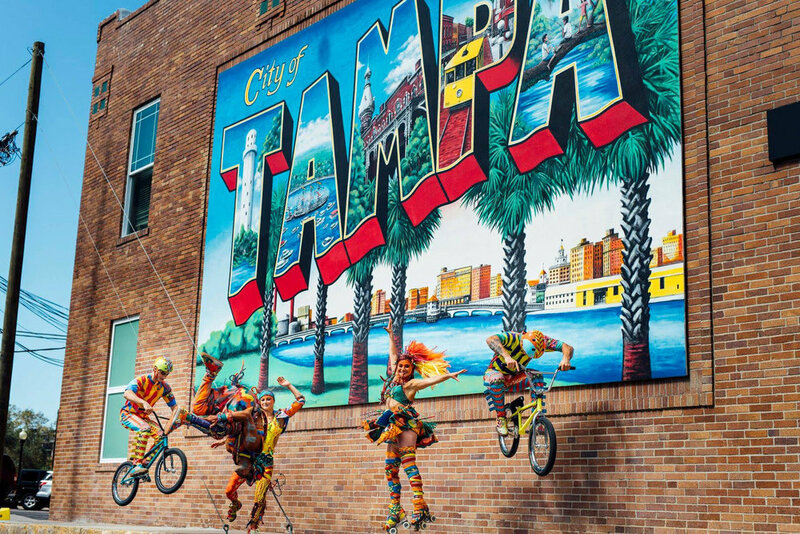 Tampa was only the second stop on the U.S. tour and marketing efforts went beyond traditional advertising to include promotional partnerships, social media opportunities and on-site activations. More than six years had elapsed since Cirque du Soleil had brought a big top show to the Tampa Bay area. Crackerjack Media was retained to manage marketing efforts that included third-party partnerships, promotional execution, trade and project management. VOLTA required new partnerships and refreshed thinking to reach its core audience. In addition, VOLTA entered the market at a time with multiple large scale entertainment events competing for consumer dollars. With more than four weeks of shows, VOLTA had to have a strong voice that stretched beyond city lines and also reached niche groups. We developed more than 75 unique activations with top tier partners such as Yelp, the New York Yankees, Tampa Bay Lightning, IKEA, Macy’s and Visit Tampa Bay resulting in exposure valued at more than $1.5 million dollars. From in-store costume displays to community performances, we developed creative advertising opportunities and social activations designed to highlight the joy of VOLTA.